Today’s post of the day is actually a series of posts from earlier in the week about the design of news sites. 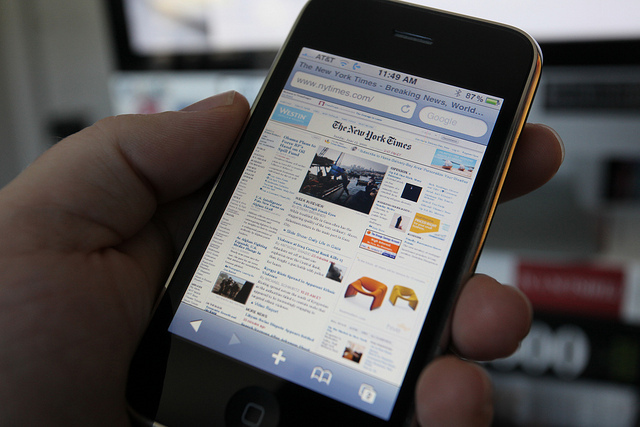 Andy Rutledge, a designer, published an analysis of the layout of New York Times web site, along with some hypothetical changes, and used it as an example of the design challenges faced by today’s news sites. This sparked a bunch of conversation on Twitter, including from current and former designers at the times. Om summarizes the discussion nicely. Although Rutledge missed a bit with his comments about the Times and with some of the elements of his redesign, the essence of his message is correct: many news sites desperately need to be redesigned for the modern web. This problem is not limited to news, but extends to many first-generation web portals and sites in areas such as sports, entertainment, and finance. It’s also true for many of the early web 2.0 sites. Use of the web is changing and is increasingly being driven by social, devices, video, and living room or mobile use cases. Less is more in most cases. You are currently reading POTD | New York Times Redux at Burdseed.